Building a web site and hosting it on the World Wide Web is a lot like building a physical store on a side-street... if you don't advertise your store, people won't know where you are unless they just happen to turn down that side-street. Advertising on the web is a complex endeavor, to say the least. There are so many options available that it can be hard to know where to start: Search Engines, Social Media, Pay-Per-Click, Banner Ads, Adwords, Blogging, Directory Listings, and many others. 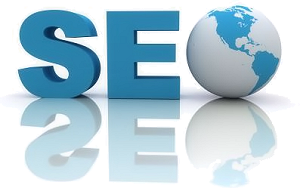 It all starts with SEO, or Search Engine Optimization. In other words, your web site should be optimized so the Search Engines can easily index your site using keywords and content that will focus in on your target audience. There are many elements to consider when performing SEO on a web site, such as navigation links, speed, structure of the web site code, and your content. We make it easy for you by taking all these factors into consideration right from the start. Your web site will be optimized and tweaked during the entire design process so your finished site is ready to market to the world. When you host your web site with AIMS, we will submit your site to the Search Engines and then periodically monitor your site to make sure it is progressing up the ranks. If necessary, we will make tweaks to help it along. 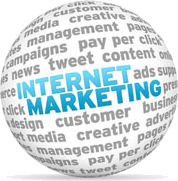 We will also offer advice on other forms of Internet Marketing, such as Social Media, Pay-Per-Click, etc. If you need a more proactive marketing campaign, we can help. For a nominal fee, we will set up your Social Media pages, assist in setting up Adwords, provide keyword analysis, and many other forms of advertising venues. Don't let your web site get lost in the clutter of millions of other sites. Let us help bring the world to your door. CONTACT US TODAY for your FREE Consultation.